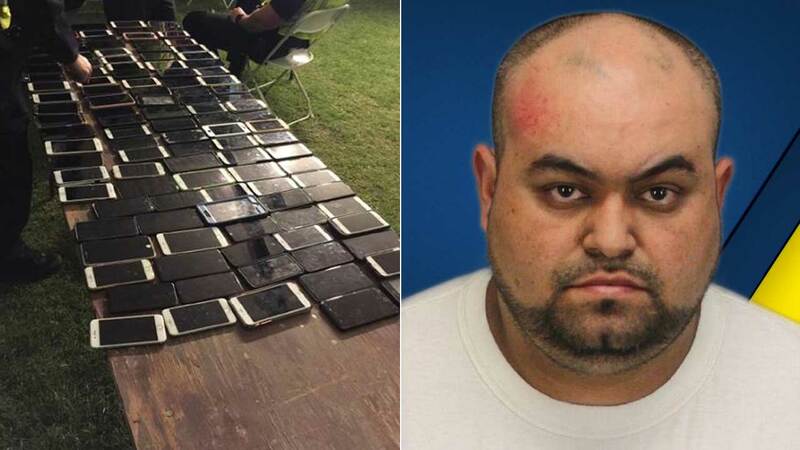 INDIO, California -- A New York man was arrested for allegedly stealing more than 100 cellphones at Coachella after tech-savvy festivalgoers tracked him down using "Find My iPhone." Police said Reinaldo De Jesus Henao, 36, was arrested on festival grounds on Friday, the first day of the Coachella Valley Music & Arts Festival. Several festivalgoers noticed that their cellphones were missing and activated their "Find My iPhone" feature, which provides users with the GPS location of their phones. Police then followed Henao though the venue and detained him. Officers said they found a backpack with more than 100 cellphones in Henao's possession. Some of the phones were returned to the victims, and the remaining devices were turned into the festival's lost and found, where they can be reclaimed. Henao was booked into the Larry D. Smith Correctional Center on suspicion of grand theft and receiving stolen property. He was released on Saturday after posting $10,000 bail, according to inmate records.